Thoughts: In many ways, my feelings about this book mirror my feelings about The Magicians, only I liked this book a bit more than that one. They both feature people from our world going into this other land that ends up being much more cruel and strange than they perhaps expected. It always sounds like a concept that I would adore, but for some reason I haven't been very enamored of either one. Now, I will say that I enjoyed this book more in the beginning. It was an interesting mystery, and because Alice, the main character, didn't know much about her grandmother's stories, she learns along with the readers just what is going on and how it all relates to the Hinterland stories. 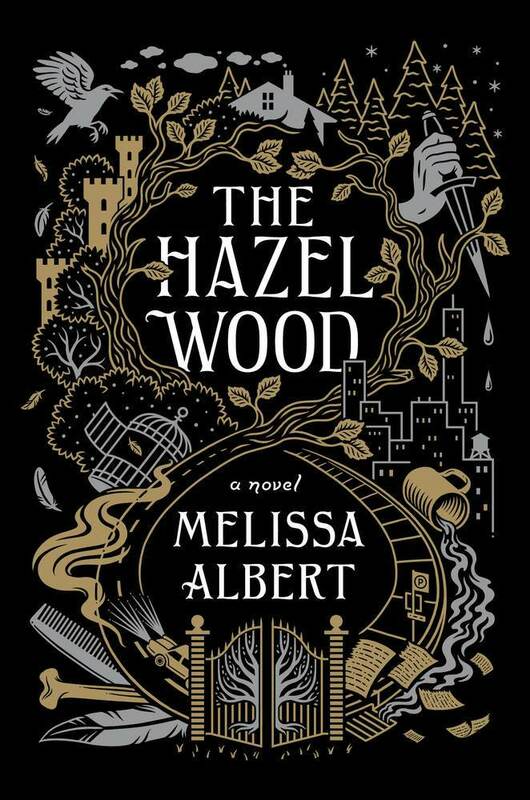 But then everything takes a turn once she actually ventures into the Hazel Wood, and consequently the Hinterland itself. When trying to pin down exactly what I didn't enjoy as much about what happens after the turn, I wasn't quite sure. But, I think it might be two things - one, things get a little too strange, and two, Alice isn't necessarily a character I connect to very much. Characters don't always need to be likable, but I didn't really feel all that sympathetic toward her, which was something of an obstacle for enjoyment. Back to my other point - yeah, things get weird. 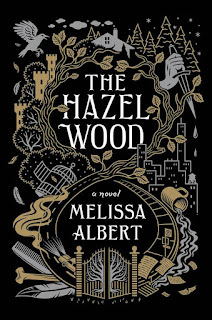 I get that it's in this other fairyland world, but because things start so much based in reality, it was sometimes hard to get around the sheer strangeness of the Hinterland and the Hazel Wood. That said, if you were a big fan of The Magicians, this might be right up your alley. Again, I really enjoyed the first, say, 40% or so, before a particularly big thing happens that I won't spoil, but after that it went a bit downhill for me. It looks like it's now going to be continued as a series, and personally I don't think I'll be reading more. But, if the stories themselves are done, I might read those. The snippets of the actual Hinterland tales were great. This one is on my list, so I was excited to see that you reviewed it. I felt similarly about The Magicians and I'm wondering if I'll have a lukewarm reaction to this one as well. Did you feel like the book could stand on its own if you don't continue reading the series? I may be willing to try the first one, but not if it means committing to a multi-book series just to get any resolution. Yeah I was enjoying it a lot at first, and then it just took a turn for me. That said, you might like it more than I did! And it definitely works as a stand-alone for sure. I was actually a little surprised it was continuing as the story felt pretty complete to me, but I suppose I shouldn’t be too surprised as I know debut novels especially are supposed to have a resolution in case they aren’t popular. Anyway!